Volvo V70 cabin air filter location. From year 1998, 1999, 2000, 2001. 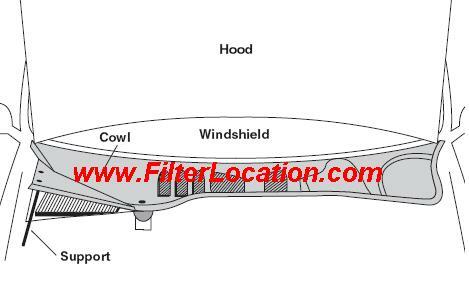 Here you can find how to locate Volvo V70 pollen filter when you need to replace. Where is located cabin air filter on a Volvo V70. Maintenance of a car differ from a vehicle to another. If you car service is approaches, below you can see how to change air conditioning filter. Cabin air filter on Volvo V70 is located outside of the car. To locate and replace cabin air filter you need to follow the next procedures. 4. Lift up the first section of filter housing cover and insert support to keep up. 5. Replace Volvo V70 old cabin air filter and replace with the new one. 6. Remove support and reassemble all the pieces back. Where is located Volvo cabin air filter. If you want to reset service light reminder on Volvo V70 click here. 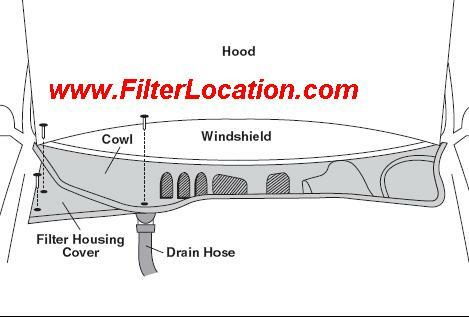 How to locate if you need to change cabin air filter, oil filter, fuel filter, pollen filter, dust filter or air filter on Volvo V70.